I am a daughter of God and we are all children of God. He knows each of us by name. He is aware of our circumstances, our trials, our strengths and weaknesses. We are His children and He is our Father. He wants us to return home safely to Him and has given us many resources here on earth to help us find our way. These include the scriptures (The Bible, yes, but also additional scriptures, such as The Book of Mormon, which I know to be true), a living prophet and apostles, commandments, and the gospel of Jesus Christ. We lived in heaven with our Heavenly Father (and mother) before we came to earth. Each of us made the choice to accept God’s Plan of Salvation which includes the gift of free agency. This gift is very important as it allows us to learn and grow here on earth. God provided a Savior and Redeemer for us, His only begotten Son, Jesus Christ. How grateful I am for my Savior! 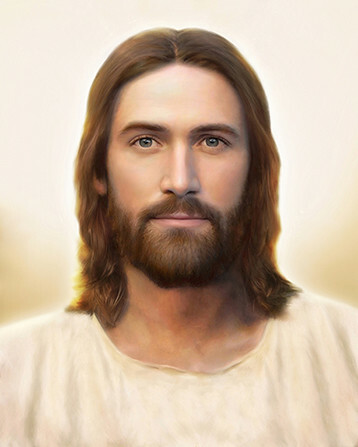 Not only did He show us the way to live here on earth, but through His suffering (His atonement), we have the gift of repentance (also forgiveness), and through His resurrection, we have the gift of life after death. When I married my husband, we were sealed in the temple by Priesthood authority, which is God’s authority here on earth. This means we are not only married for this life, but for all eternity, as long as we each keep the covenants we’ve made with our Heavenly Father at baptism and in the temple. After we die, and are resurrected with Christ, we will not be married. Thanks for the additional info, Camie. Thank you for this testimony Camie. I just love reading personal testimonies, and I think yours is beautifully written. Each new testimony gives me a new appreciation for the gospel and this chuch. My wife and I are recent converts to LDS ( baptized Jan 2016) and we are looking forward to being sealed sometime in 2017! Please follow my blog! I pray right now that God might bless your family and your blog, and help us all endure the trials and celebrate all God’s blessings until we meet our Heavenly Father. Amen. You’re welcome and thank you for such a sweet comment. Congrats on your baptism and membership. I’m so glad you found the gospel and I will keep you and your wife in my prayers as well. You have a beautiful experience waiting for you next year. Keep that eternal goal in sight. I’m excited to read more posts on your blog.